In case you’re unfamiliar with ethanol, it’s an organic fuel made by fermenting grains and vegetables. Common raw materials include sorghum, barley, maize (corn), wheat, potatoes, and sugarcane. It’s sometimes referred to as biogas or biofuel, though those are broader categories which aren’t restricted to ethanol. It’s an alcohol, so it does have intoxicating capabilities. That’s why ethanol heaters have smaller flames and give off minimal heat. You can only use them in a well-ventilated room, and you often have to supplement them. 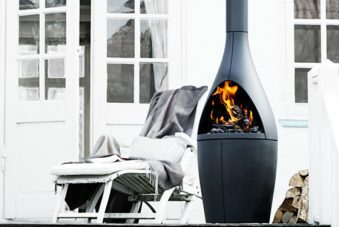 Because of their limitations, ethanol fireplaces are generally used for aesthetic purposes, or as a localised heater. You could place it next to your feet or near your work-station, but if you’d like to warm up the whole room, you need an extra heat source. That said, ethanol heaters are gorgeous to look at, and can elevate the style of your home or office. Here at Hawkesbury Heating, we stock Cocoon Ethanol and Icon Nero heaters. Their ethanol is modified, so when it burns, it gives off minimal carbon dioxide and water vapour. Our Icon Nero heaters are linear furnaces that can be mounted on the wall. They come in three sizes from a little over 1m to a little under 2m. Depending on the space you have available and the size that you pick, you can enjoy a burn time of 7 to 9 hours and fuel capacity of 4 to 7 litres. The Icon Nero has the same stylistic design as inbuilt gas fireplaces, including a slim-line burner and a vertically elongated design. They don’t usually have glass viewing panes though, because the flame doesn’t get very hot. 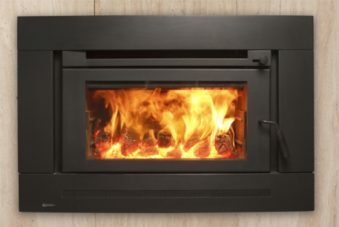 It doesn’t give off smoke or fumes and doesn’t require chimneys or flues. Icon Nero can be finished with a fascia of brushed metal or black steel. Some biofuels do give off a smell and can be toxic, so when you buy a Nero from us, we’ll make sure you get the right kind of ethanol. Don’t worry, we know where to find it, and we’ll keep your fuel supply consistent and reliable. We can also advise you and usage, maintenance, and fuel budgets. For stylistas that want something more dramatic, consider Cocoon fireplaces. They’re shaped like space pods, all curves and shiny surfaces. They work well with contemporary décor, anything minimalist and industrial, with clean lines and glossy metallics. We stock six different kinds of Cocoon heaters classed by size and orientation. Our Cocoon Pedestals are freestanding units that rise about a foot off the ground, supported on a single slim leg. We also have Cocoon Aeris models that are suspended from the ceiling and Cocoon Vellums. The latter are wall-mounted and spherical, so they seem to be floating ethereally in mid-air. It’s a gorgeous effect. Cocoon ethanol fireplaces in Sydney come in two colours – matte black or stainless steel. Some, like the Vellum Black Bio, is a mix of both. Ethanol fireplaces don’t present much of a fire hazard because the flames are soft and well-contained. 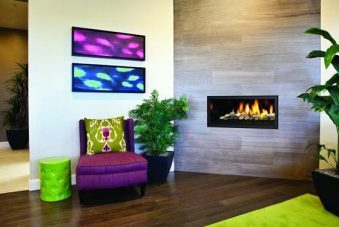 To check out our collection of ethanol fireplaces, call Hawkesbury Heating today on (02) 4571 2295.